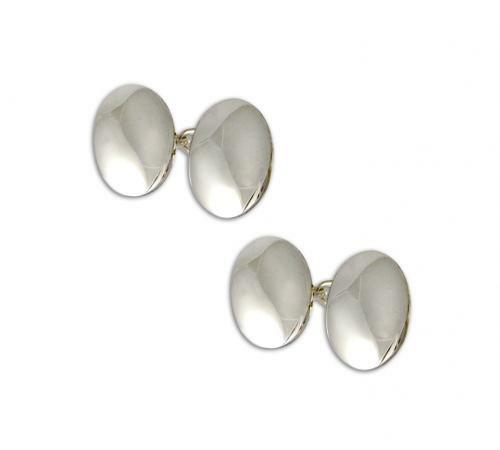 Heavy quality solid silver British made oval domed cufflinks. We can engrave these with a crest monogram or initals, machine or hand engraved. Supplied in Horton presentation case.